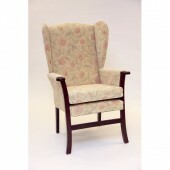 At Sutton's we specialise in recliner chairs and comfort chairs. Different fabric options are available such as leather or material in a range of covers. See in store to try before you buy.